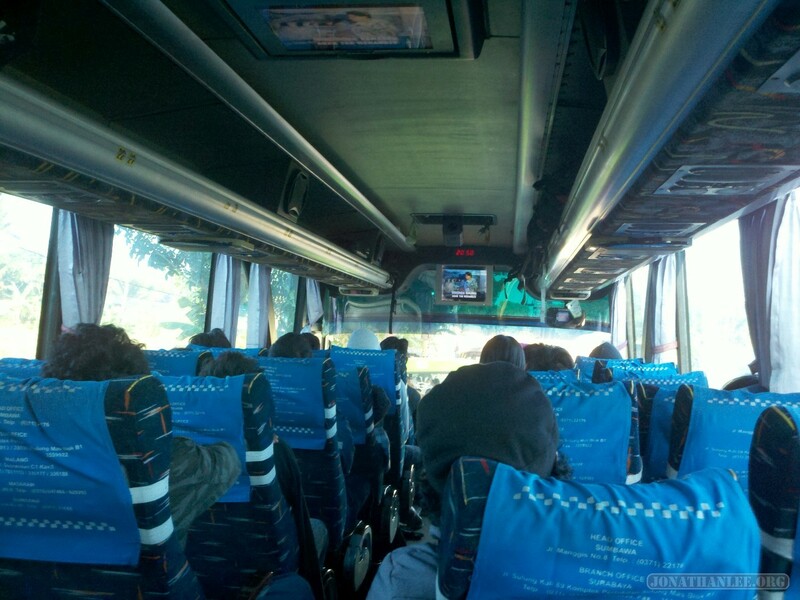 After spending a couple days recovering from my Mount Rinjani climb in Mataram (the capital of Lombok), I decided that I was done with Bali and Lombok, and so decided to go to Java – by bus. It took me 30 hours of travel. I’m not sure why I didn’t just fly over. It would have been faster, stress-free, and more comfortable. The only answer I can think of, is that I wanted the experience. And so, 30 hours of travel. 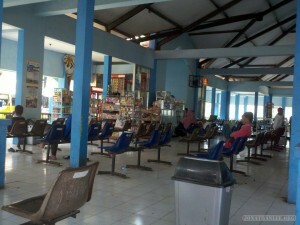 From the Mataram bus station, I catch a 20 hour bus to Surabaya, a city in Java. First, of course, I am forced to wait 5 hours, as the bus is obscenely late. 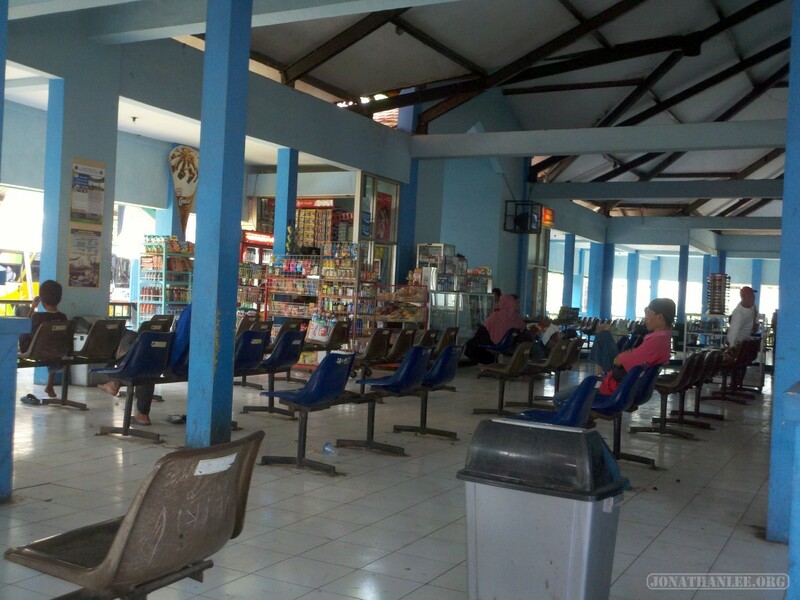 At least the bus station waiting area is comfortable. Finally, the bus arrives, and we’re off!